Hello friends! 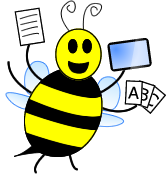 This is Shanda and Manda from Twin Speech, Language & Literacy LLC. We are happy to be back at Speechie Freebies this month to let you know about a brand new freebie document that we created that targets the social skills area of manners. 1) Two nice manners worksheets. Students are asked to match the pictures and to name the nice manners. 2) One cut and past shamrock worksheet for students to work on identifying nice vs. not so nice statements. 3) One roll and color worksheet. Students are asked to roll a die and say the pleasant word or greeting next to the number rolled. They are also asked to use the word shown in a greeting or in a sentence aloud. 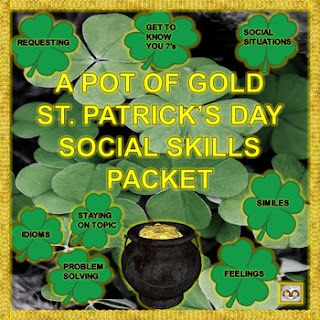 And if you would like more fun and useful worksheets and games for working on social skills with your students this coming St. Patrick's Day, check out our large Practicing Pragmatics: A Pot of Gold of St. Patrick's Day Social Skills Unit! 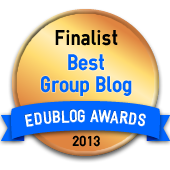 Best Wishes for fun and useful social skills practice sessions!